Our wonderful bees may be hibernating right now but their honey is very much in abundance. Why not take advantage of this healthy, tasty treat in all kinds of party food, even cocktails! They will be sure to keep the conversation buzzing. •	Honey can be great drizzled over a cracker covered with strong hard cheese, ham and red onions, or brie, smoked salmon, onion and parsley. •	Make a glaze by mixing soy sauce, honey, tomato puree and balsamic vinegar. Leave chicken drumsticks to marinade for an hour then cook for 40 minutes or so until glazed golden brown. •	Honey, lime, coriander and chilli are great with prawns. Make up your own mixture to suit your taste, add prawns and leave to marinate for a couple of hours before stir frying or grilling. 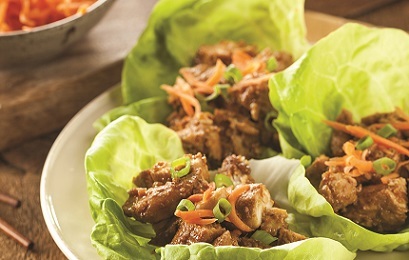 •	Thinly sliced cooked duck breasts can be drizzled with honey and served wrapped in a lettuce leaf with a hoisin dipping sauce. •	Here’s a simple but zingy one, wrap strips of Parma ham around pear or apple wedges topped with blue cheese crumbles and drizzle with warm honey. •	For a tasty dip mash up goat cheese, add the grated zest of a lemon and drizzle with honey. Serve with crudities. Or mix honey with crème fraiche and horseradish, basil and rosemary for a herby treat. 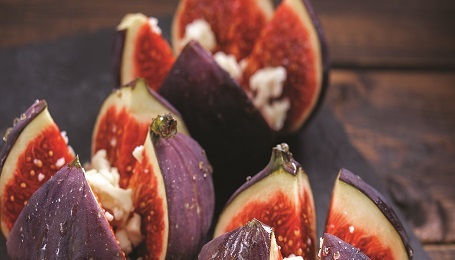 •	What’s not to like about fresh figs stuffed with cream cheese and drizzled in honey? •	Fondue’s are on their way back from the 80’s. Try a white chocolate version but, before serving, pour in a circular stream of warm honey for a golden twist. •	Honey is a healthy alternative to sugar syrups in cocktails but it needs to be heated with water first then cooled. As a rule of thumb, for a mild, thin syrup use 1:1 honey and water, for a stronger, thicker syrup use 1:3. •	What then? Try mixing Bourbon or Jack Daniels, lemon juice and the honey syrup, or add honey syrup to a margarita, a mojito, sangria, a Tom Collins or just plain lemonade. •	If you have overdone it the night before, honey can come to the rescue there too! Depending on how bad you are feeling, try a slice of toast with honey or, if you can’t face it, drink honey and hot water or eat honey straight off the spoon. •	Finally, we came across this and couldn’t resist it. What do you do if you are allergic to fake eyelash glue, or your glue has dried up? Mix sugar, honey and a drop of water. Stir until dissolved, apply to the fake lashes, leave until tacky and then place them on your eyes. We have no idea if it works but it’s a buzzin’ idea!